Black Friday Giveaway Blitz 11AM: Waring Professional Belgian Waffle Maker ($130 retail value)! Update: This giveaway is now over. Go here to view the winner of this giveaway  and make sure to check the homepage for the next giveaway item! Didn’t win anything yet? Don’t worry! We are just getting heated up with the Black Friday Giveaway Blitz! This hour’s giveaway is one of my very favorite: Waring Professional Belgian Waffle Maker ($130 retail value)! 1. Tell what your favorite winter breakfast item is…and if you had pumpkin pie for breakfast today (like I did) – that is just fine too! 2. Become a Bargain Blessings Daily Deal E-mail subscriber . Leave a comment telling me you’ve done so. 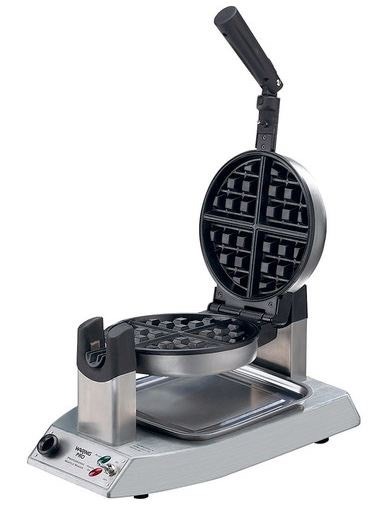 Remember, I will be selecting the winner at 12:00pm MT and the winner will then have exactly one hour (until 1:00pm MT) to claim their Waffle Maker so don’t forget to check back! *This giveaway is sponsored by Bargain Blessings…because we love you all that much. Happy Black Friday and make sure to check out all the deals we are posting for you today! *By entering this giveaway you are agreeing to the Bargain Blessings Giveaway Rules and Disclosures . Copyright © 2014 Bargain Blessings. All rights reserved.